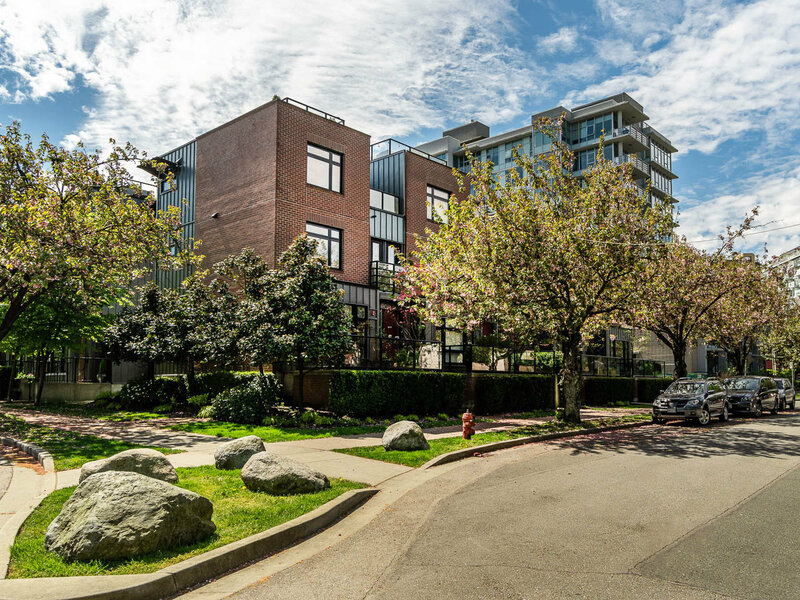 Over the last 10 years Mount Pleasant has become one of Vancouver's most interesting and fastest changing neighbourhoods. 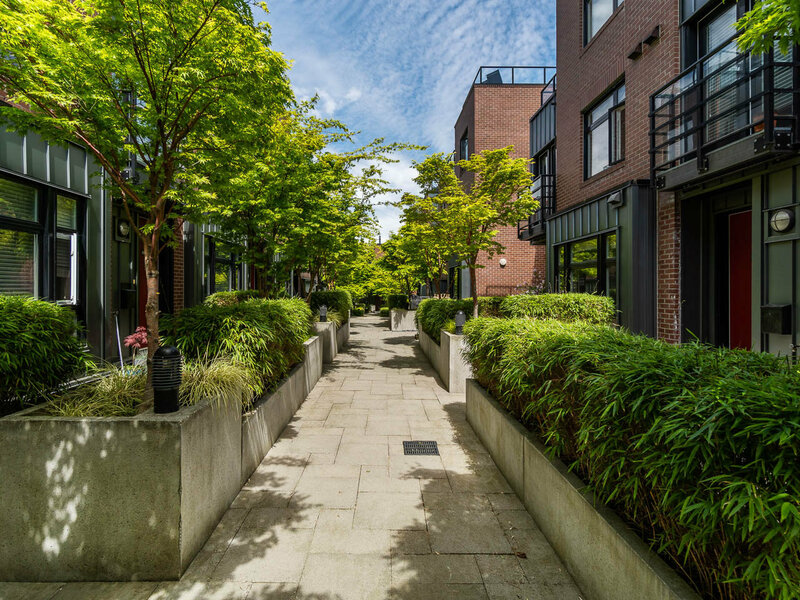 Just steps off Main Street in the heart of this hood sits a lovely 32 Unit Townhouse Complex called The Block. Having listed & sold several units in The Block over the last few years, we at Blu Realty have a long standing crush. Plus our very own Nels Agerbo & his family lived and loved it there for 6 years. Looking back on his Mt. Pleasant stint, Nels is quick to point out the wonderful Elementary School (Florence Nightengale) directly across the street and the tight knit community he at the Block, “One of the reasons I wanted to live there was for the community aspect, its a very friendly environment, and our kids would often play with other kids from there”. The townhouse layout was also a selling point for Nels and many of his neighbours. In fact, for 6 years he never took being able to walk directly into his home from the street for granted. Having easy access to parking was also a gift - especially for someone who tends to forget things in his car! 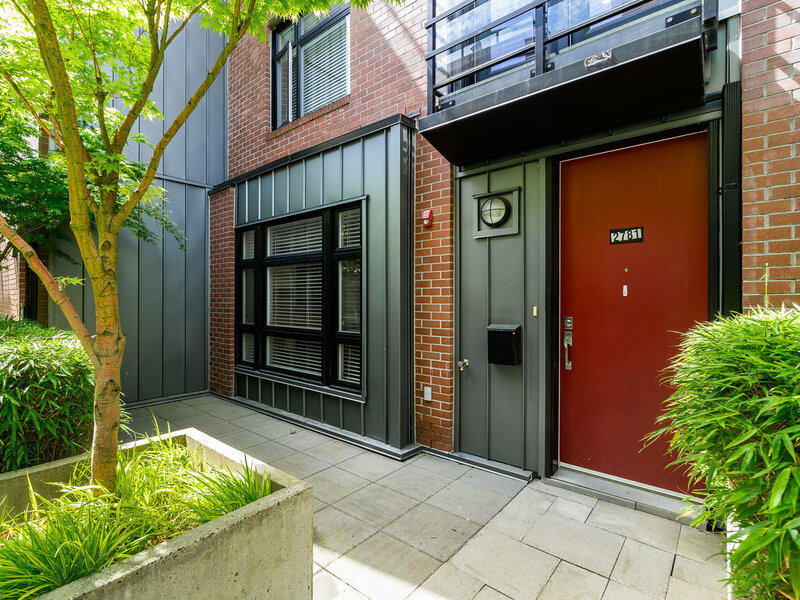 But for Nels, being steps away from hip Main Street, while being able to enjoy the peace and quiet of a tree-lined street really sealed the deal. 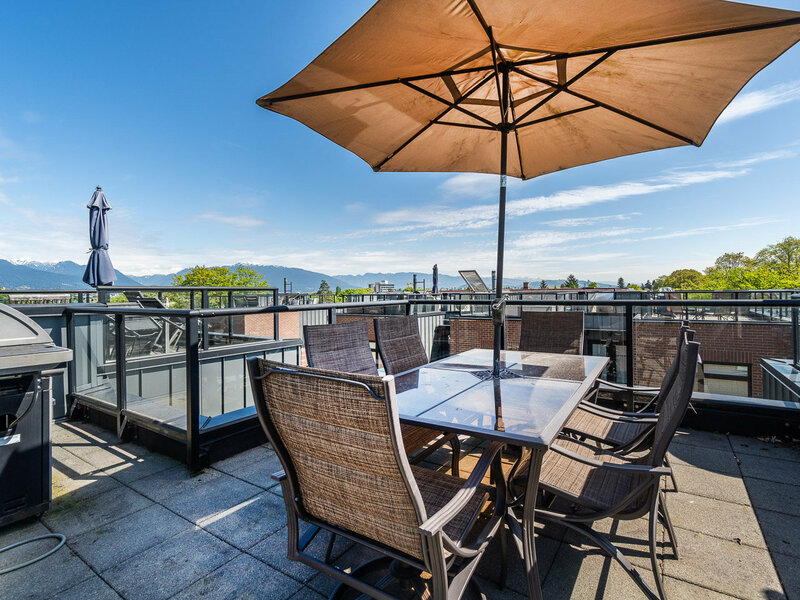 The units themselves are boutique style townhouses with the big talking point being private rooftop patio’s with views of Vancouver (every unit has one). 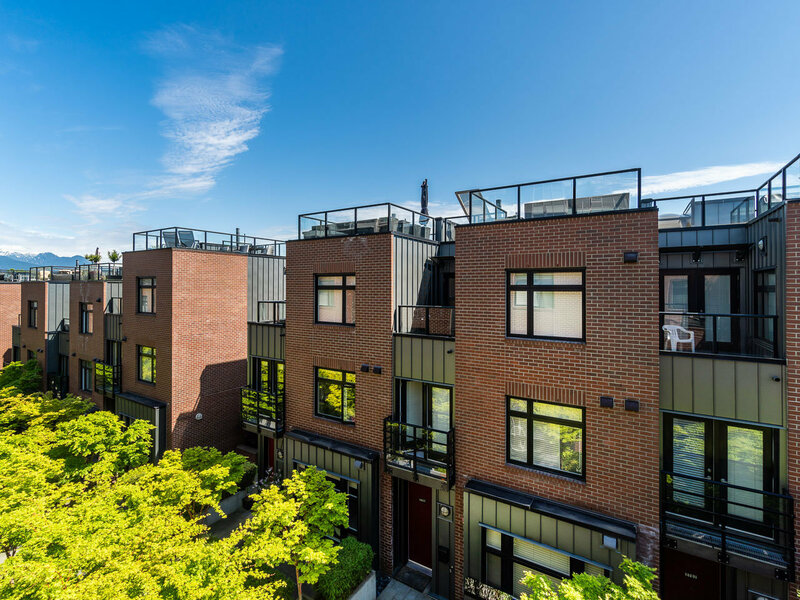 From the outside the combination of brick and metal siding give the townhomes an edgy industrial look. Layout is across 3 floors with Kitchen, Dining, Living on the main floor, Bedroom and Rec Room on the second, and Master Bed with ensuite and walk in closet on the upper. 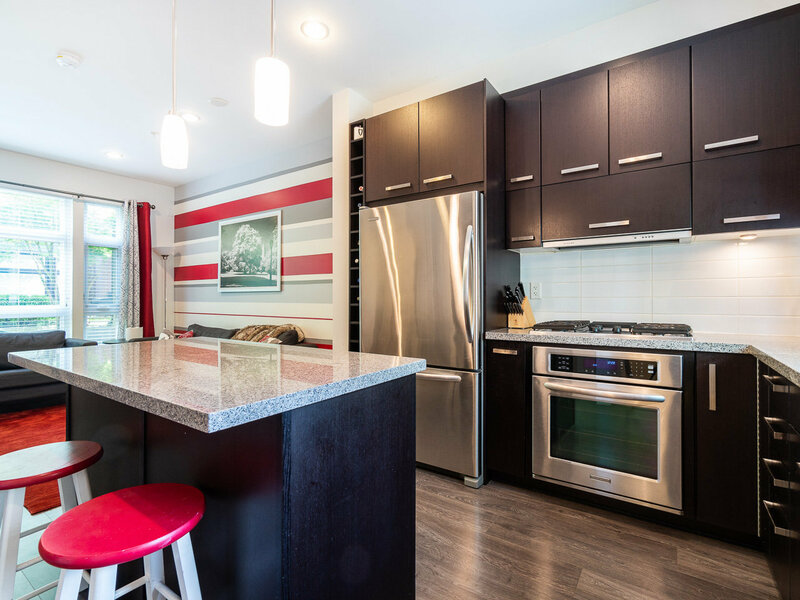 Built by Parklane Homes in 2009 these units are beautifully finished with stainless steel appliances, granite counter-tops, and a gas range.